Hi I’m a Community Rail Officer based in Greater Manchester, I’m quite a regular visitor to to your area and I was looking around for signs of Community Rail activity, did you manage to find time to resurrect APW? It’s a shame there isn’t more activity, when you see how much benefit areas such as Heart of Wales or Cornwall derive from Community Rail. If I’m honest, if I tried to establish a CRP I wouldn’t know where to start. I did, eventually (November 2016! 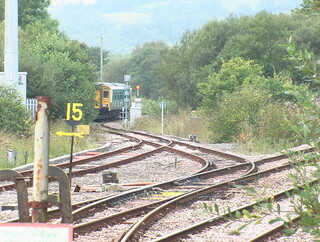 ), contact the Association Of Community Rail Partnerships who confirmed that All Points West folded several years ago due to lack of funding from partners. There is however, depending on your definition of ‘community rail’, a small amount of ‘activity’. 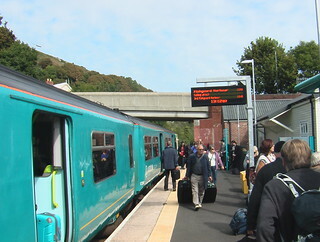 The Arriva Trains Wales website lists many of the stations in the area as adopted (only Narberth, Kilgetty, Clarbeston Road and Saundersfoot are listed as being available for adoption). I would be interested to know who adopted Whitland station. 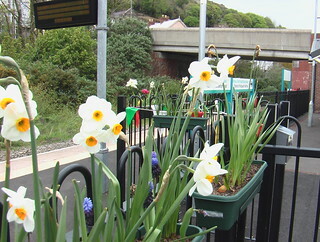 There are also two user groups, Pembrokeshire Rail Travellers Association (PRTA) and NPTF North Pembrokeshire Transport Forum (NPTF). 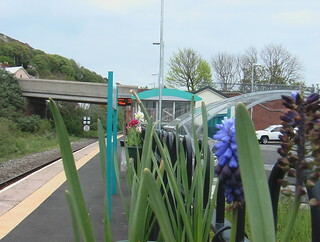 The NPTF, at least, were involved in the campaign for Fishguard’s enhanced rail service (and Fishguard & Goodwick station), but I still have no idea how they campaign for improvements. All I can say is that it obviously works, at least some of the time, so well done to them.